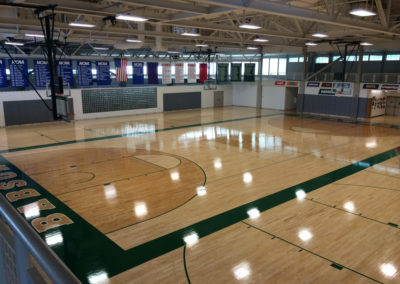 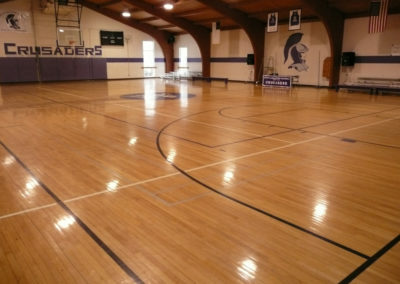 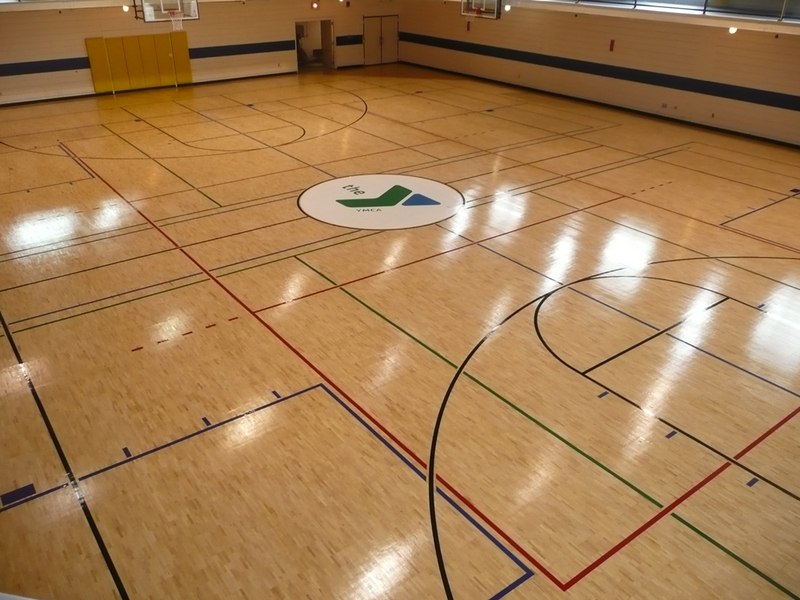 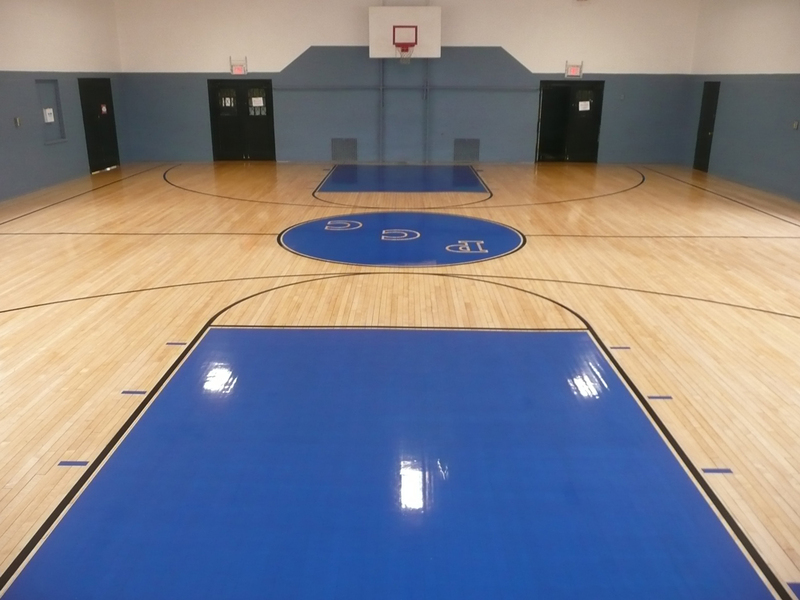 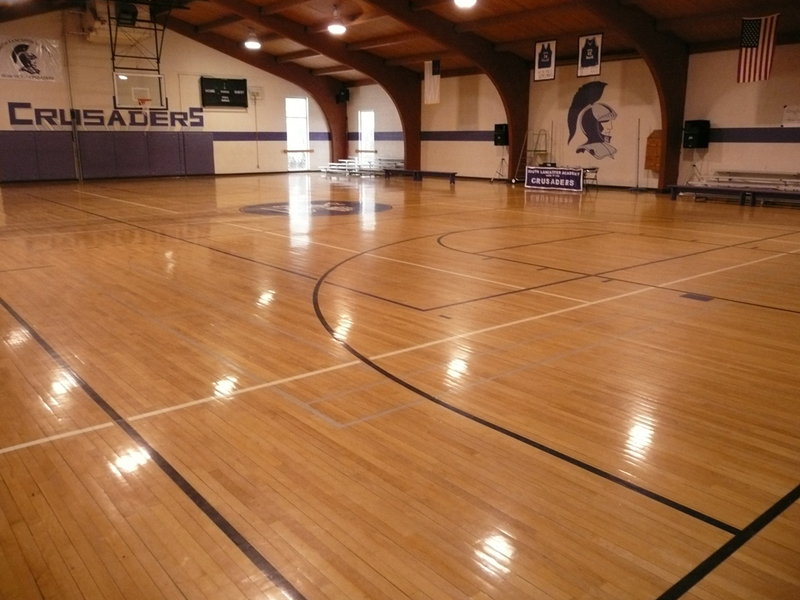 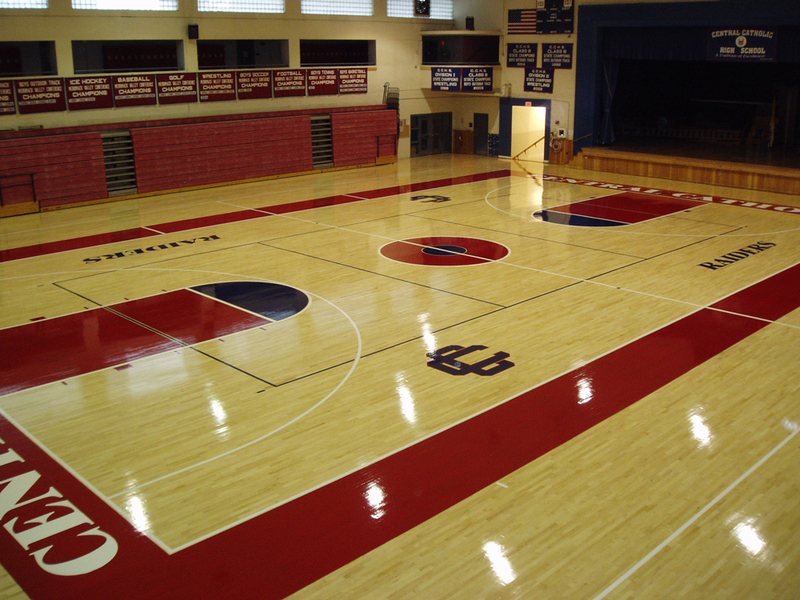 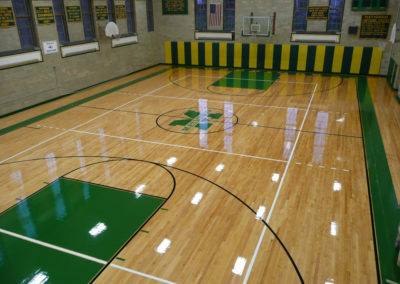 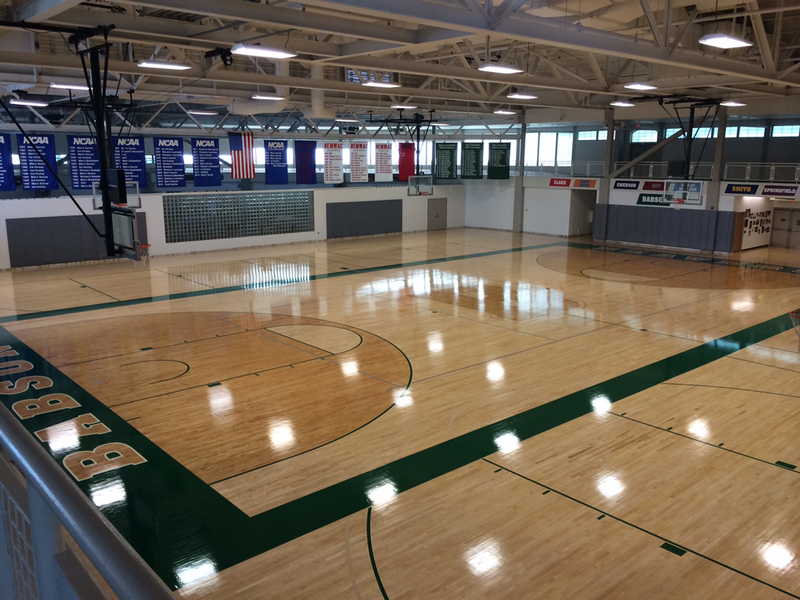 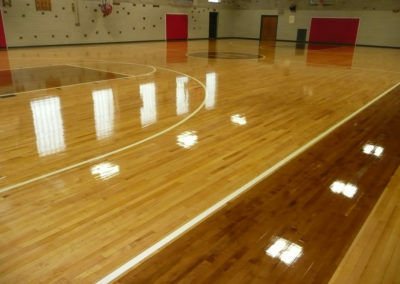 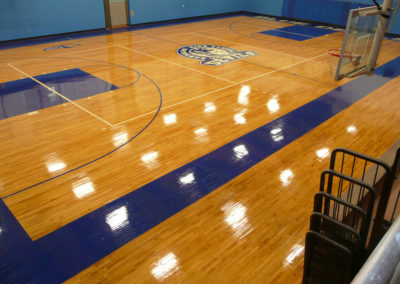 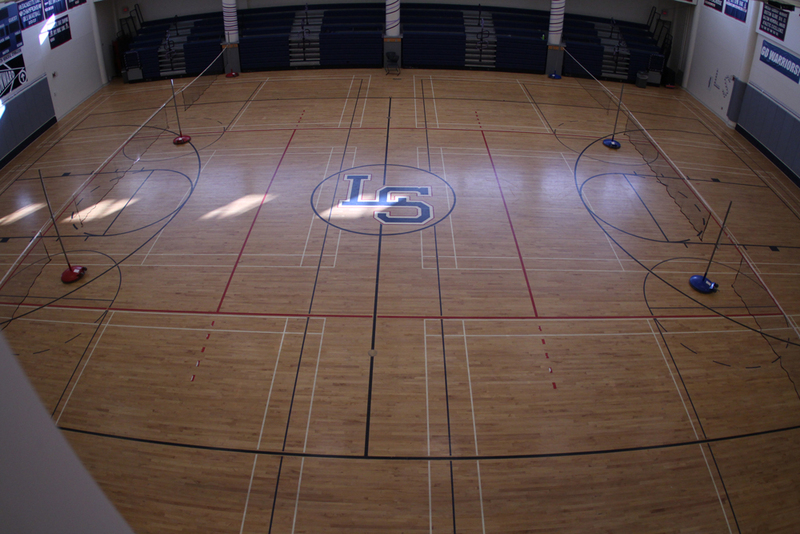 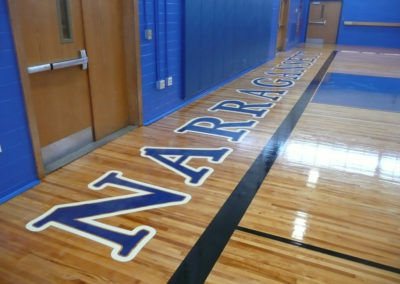 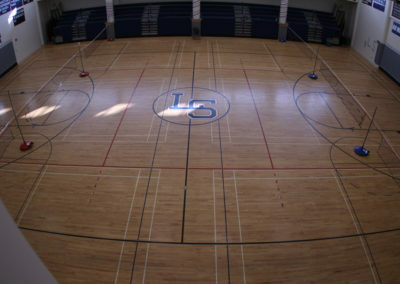 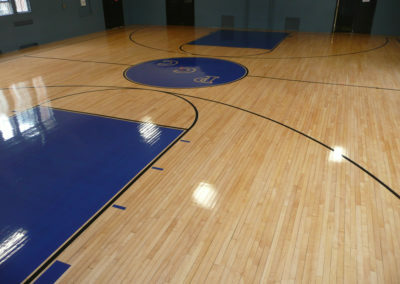 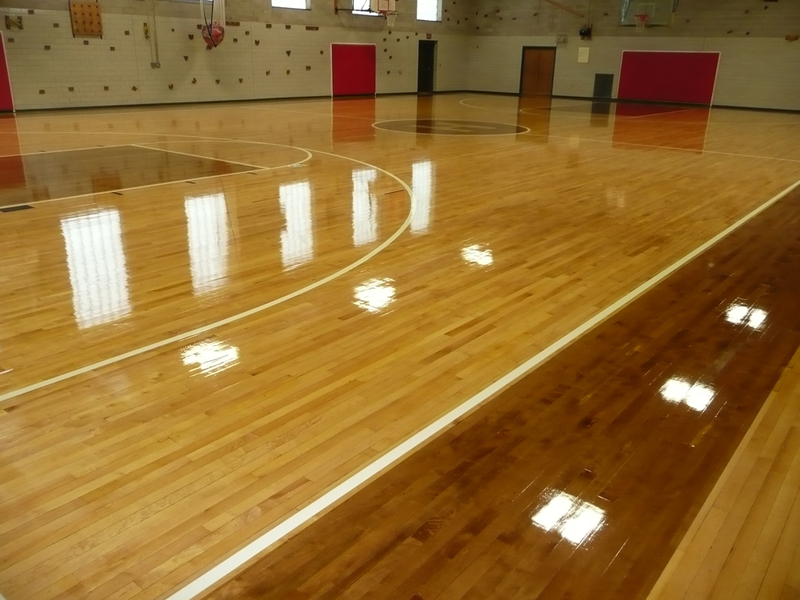 Examples of the gymnasium floors we've worked on over the years. 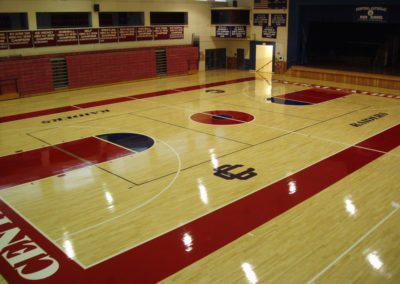 The scope of work at Randolph High School included a complete gymnasium floor installation and finishing with logos and lines. 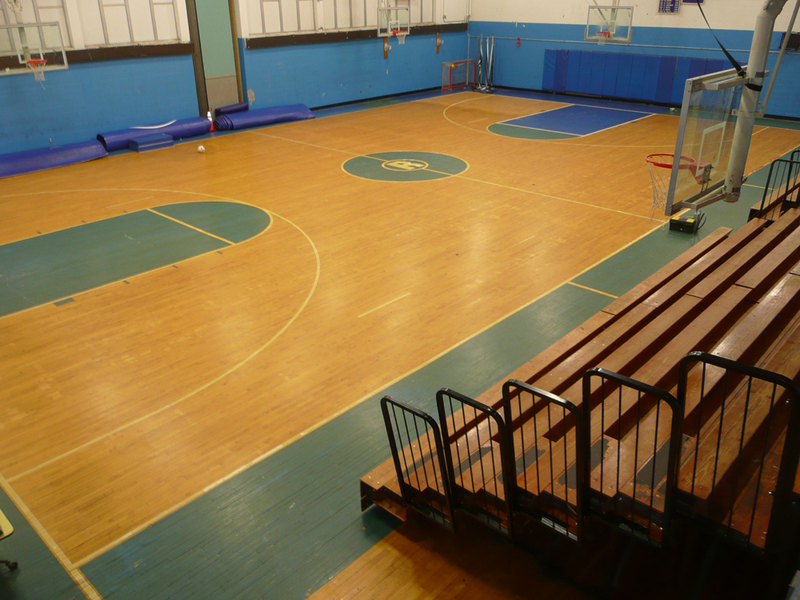 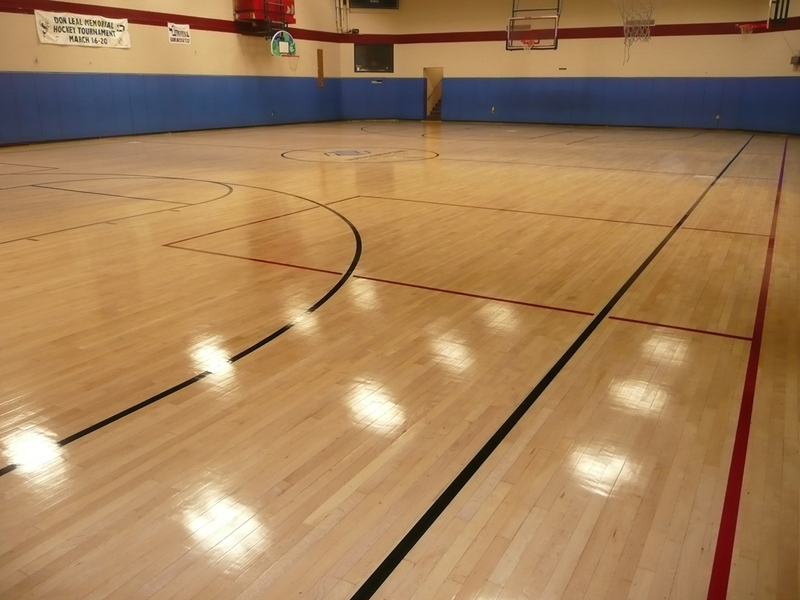 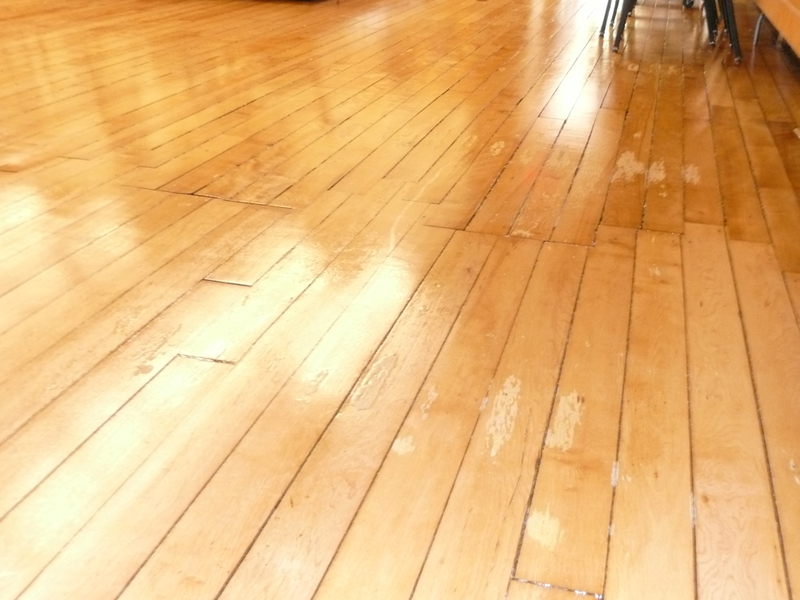 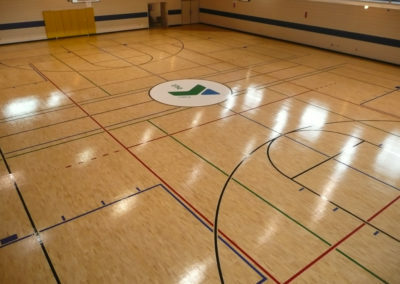 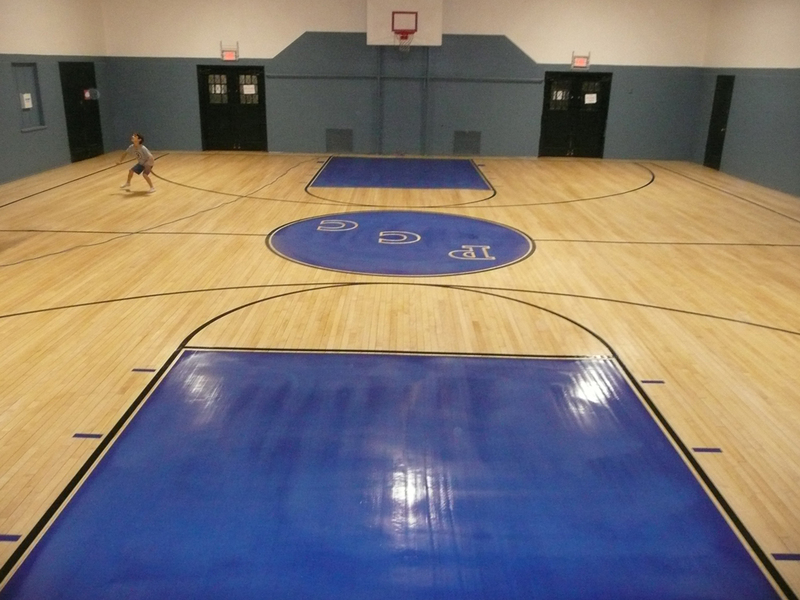 The dull and damaged wood sports floor at the Pembroke Community Center desperately needed to be sanded, refinished, stained and imprinted with lines and a logo. 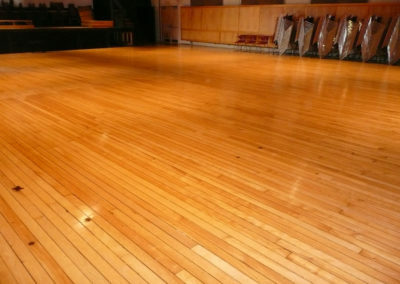 The difference is astounding! 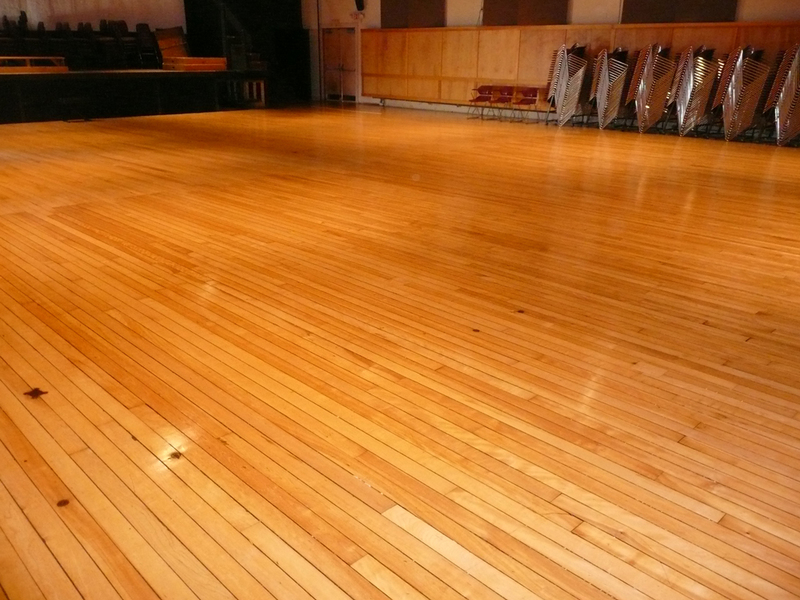 This school needed a wood floor that could stand up to the demands of a combined gym and auditorium. 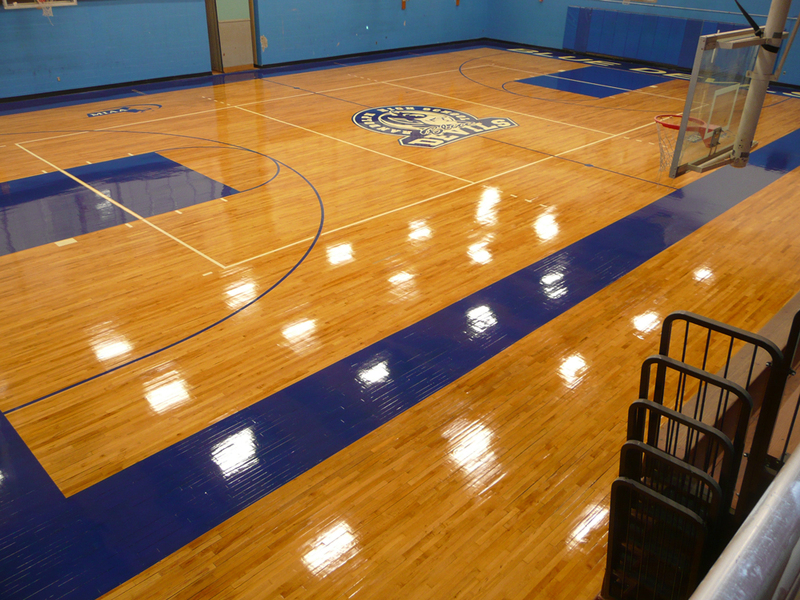 Gymnasium Floors installed a new floor that met their needs and looked amazing.